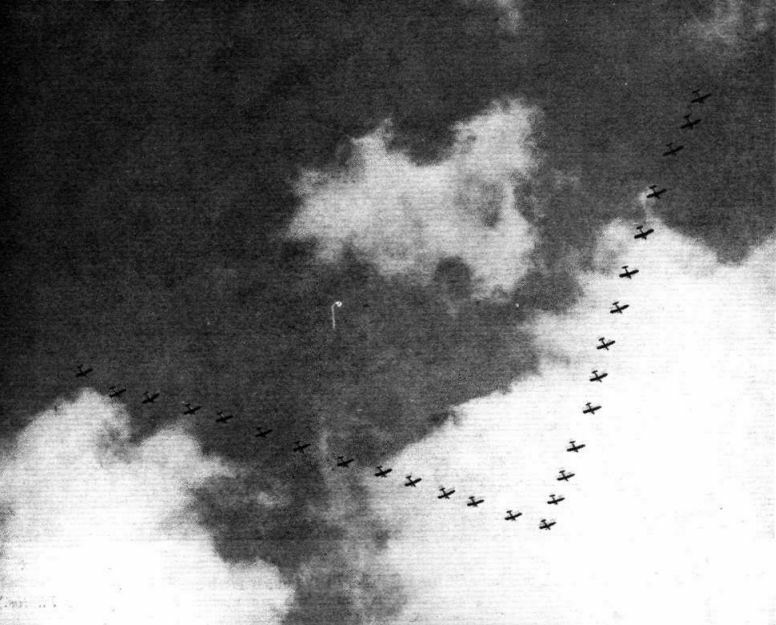 MORE AIR DRILL: Another formation by the "Hart" Wing. AIR DRILL: Two of the "Hart" Squadrons during their evolutions. 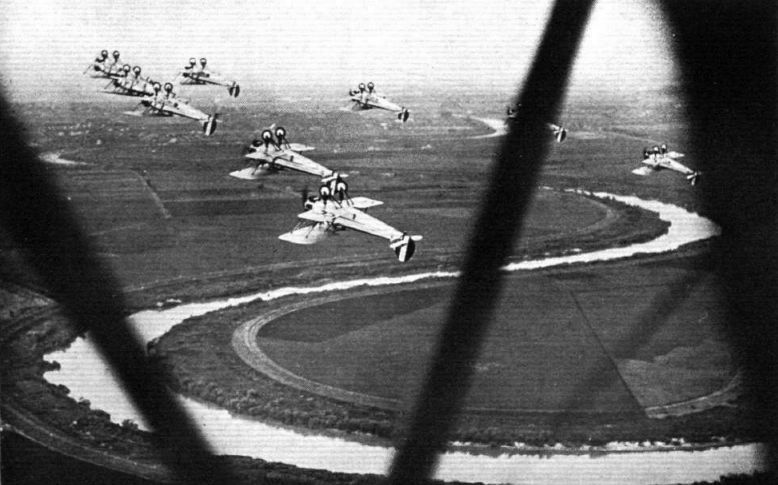 "WING VEE": Twenty-seven "Harts" beginning their demonstration of air drill. 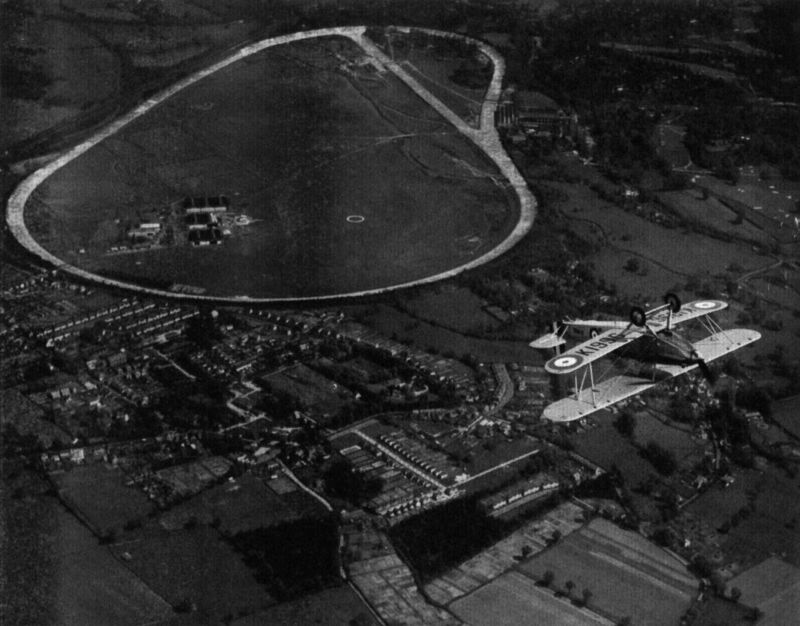 TURNING HER BACK ON HOME: A HAWKER "HART" (ROLLS ROYCE) "KESTREL" DOING INVERTED FLYING (PILOT MR. SAYER) NEAR BROOKLANDS. 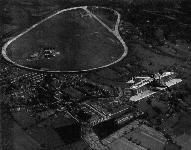 THE WHOLE OF THE "BOWL" CAN BE SEEN IN THE PICTURE, WITH THE HANGARS, CLUB HOUSE, MEMBERS' ENCLOSURE, TEST HILL, ETC. 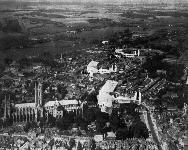 ON THE EXTREME RIGHT, AT THE "FORK," MAY BE SEEN THE HOME OF VICKERS, LTD. IT IS RARELY THAT ENGLISH WEATHER PERMITS OF TAKING PICTURES FROM SUCH A HEIGHT. THE DAY BOMBERS: Nos. 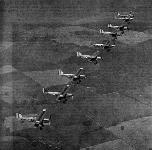 18, 57 and 33 Squadrons (Kestrel-Hart) getting ready for their takeoff. The Auxiliary Wing is just behind them (Jupiter-Wapiti). 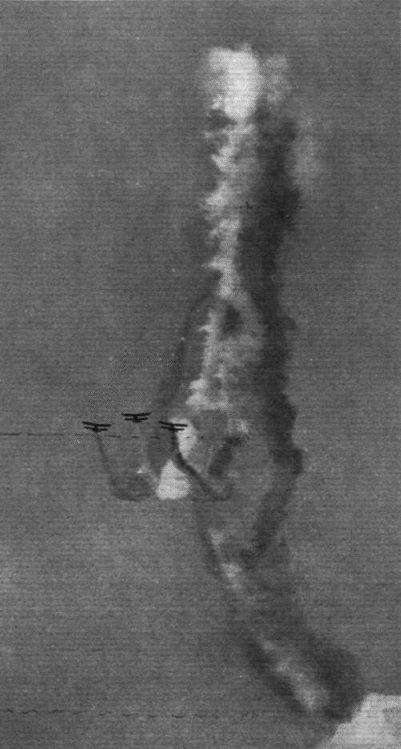 STILL SMOKING: The three "Bulldogs" in Formation. 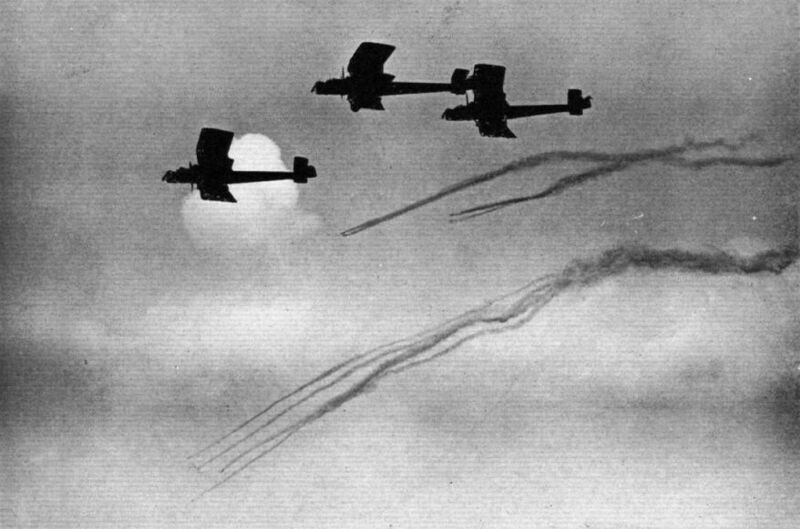 "WEAVING": The three Bulldogs," piloted by Martlesham pilots, intertwining their smoke trails. 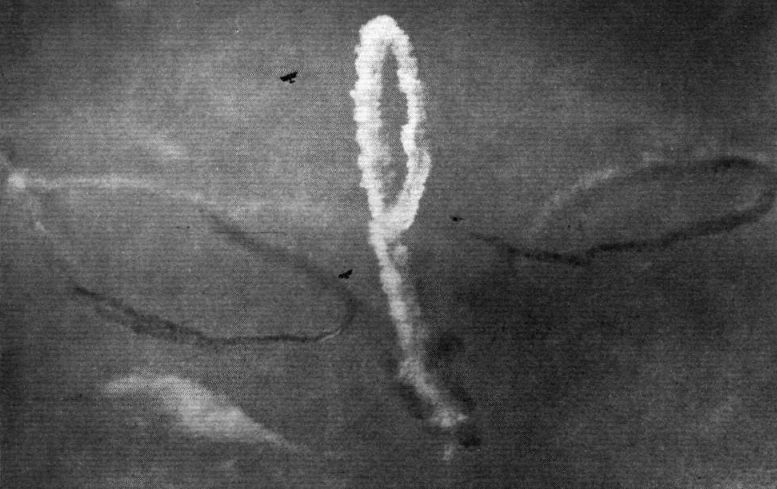 "ICH DIEN": "Prince of Wales' Feathers" formed with smoke. 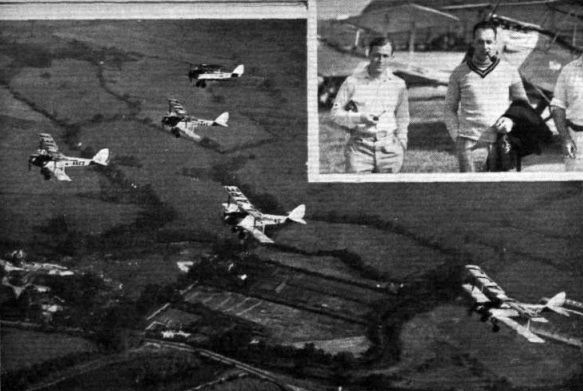 "GENTLEMEN, YOU MAY SMOKE": Martlesham pilots on "Bulldogs" writing the letters "R.A.F." with coloured smoke. 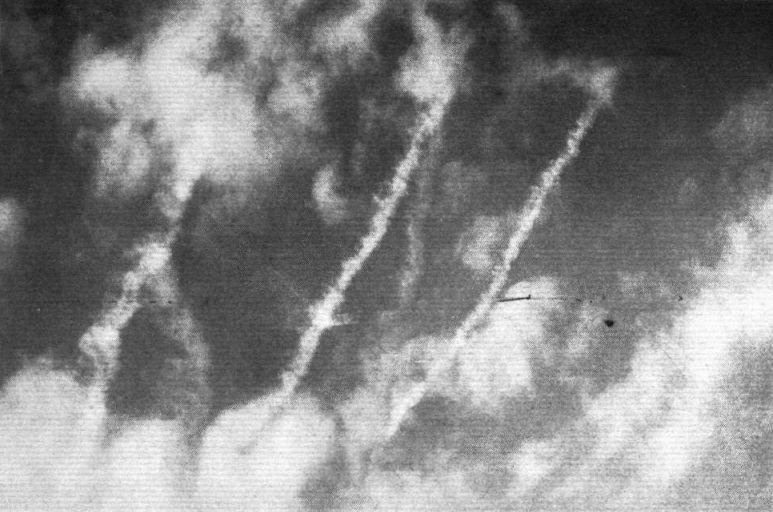 AIR COMBAT: "Sidestrand" v. "Bulldogs." 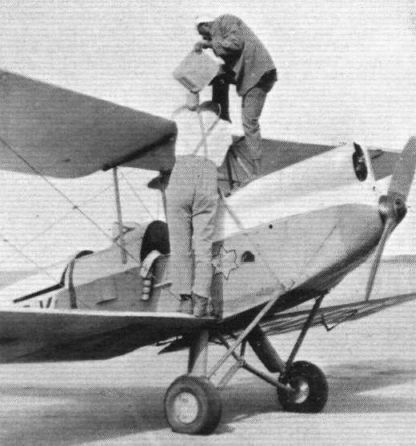 FOR ADVANCED TRAINING: The Bristol two-seater "Bulldog" ("Jupiter") was one of the new types demonstrated at the S.B.A.C. Display at Hendon on Monday last. Santos-Dumont in his second biplane, "14 bis," on which he made the first public flight in Europe, in 1906. 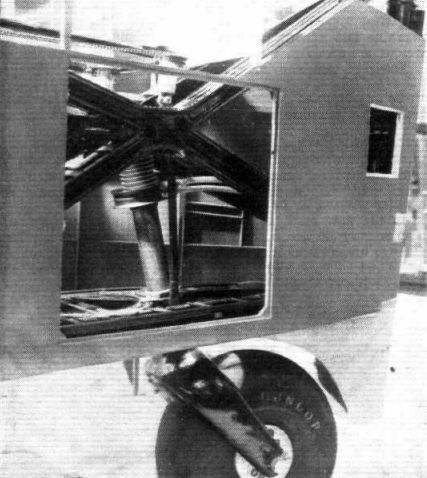 This machine was of the "tail-first" type. The picture shows the Santos Dumont "Demoiselle" of 1910, a tiny "Tow-pilot" monoplane of only a little over 16 ft. span. It flew somewhat erratically and was apparently a handful for its pilot. This view shows how comfortably furnished are the dining saloons. Few aircraft provide smoking facilities in as pleasant a manner as this. 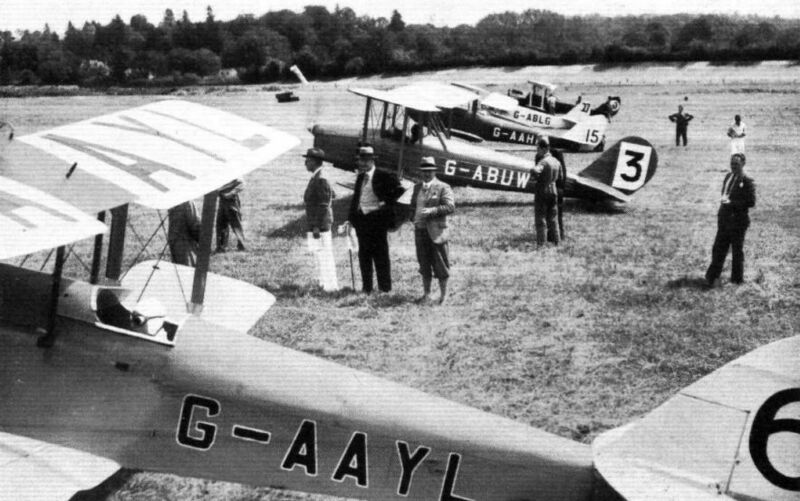 A view out of the hangar at Hamble, showing the "Avians," "Cadets," "Atlases" and "Siskins" used by A.S.T. 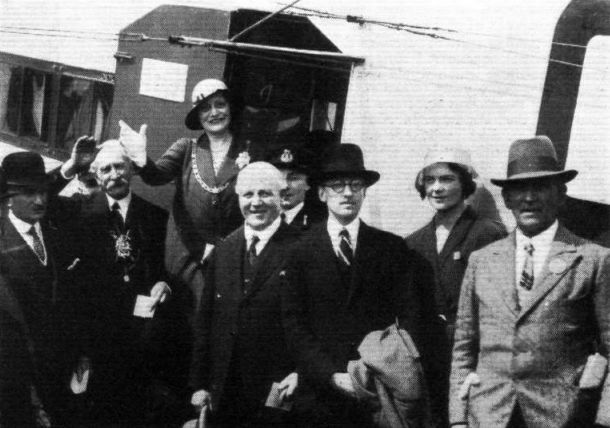 TO VIEW THEIR CITY: The Lord Mayor and Lady Mayoress (Alderman and Mrs. F. G. Foster) about to taste the joys of travelling in an Armstrong Whitworth "Argosy." Air Marshal Sir Geoffrey Salmond is on the Lord Mayor's right. 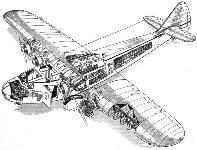 UNORTHODOXY: The Handley Page 38 Night Bomber (two "Kestrel") has fuselage and engines placed under the upper wing. 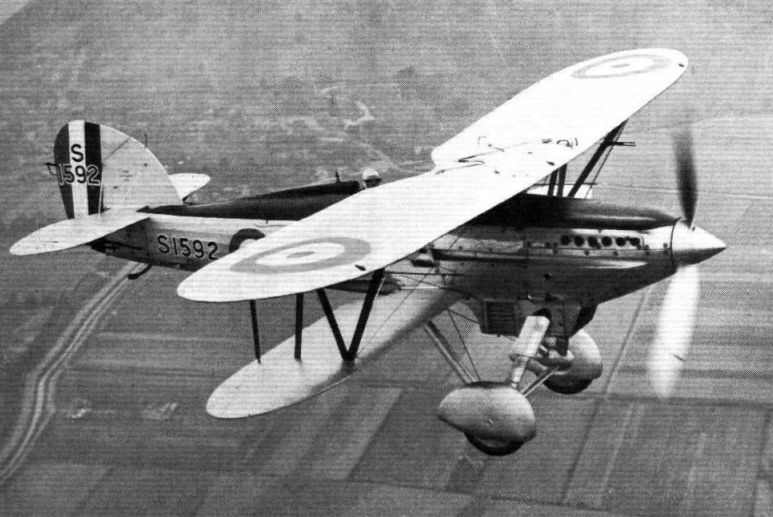 A NEW VICKERS NIGHT BOMBER: Fitted with two Bristol "Pegasus" engines, this machine is a four-seater of 1,367 sq. ft. wing area and a gross weight of 16,400 lb. 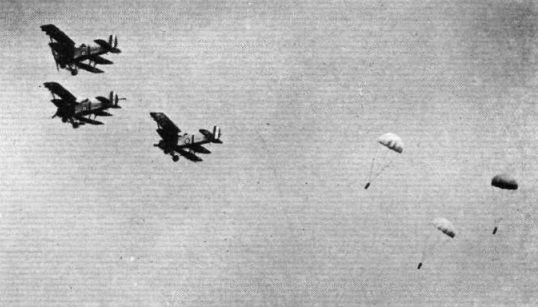 "OLD FRIENDS": The "Gugnunc" and "Autogiro" aviating above the Gloster Troop Carrier. THE FIRST FOCKE-WULF "AUTOGIRO." 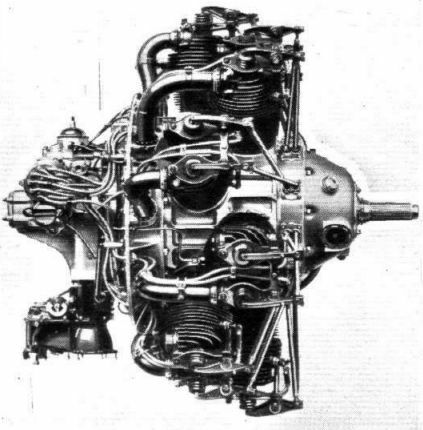 Of the C.19, Mark IV, type, this machine is fitted with a Siemens-Halske 7-cylinder radial engine of 110 h.p. 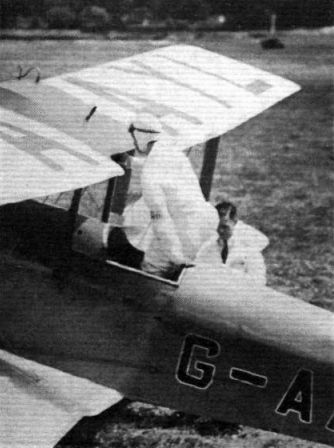 The first test flights were carried out by Capt. 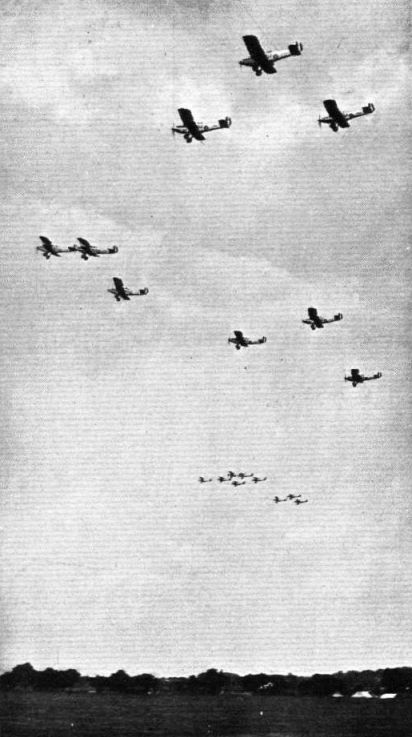 A. H. C. Rawson, and will now be continued by the Focke-Wulf and D.V.L. pilots. "UP AND AWAY": Mr. Brie lifting the "Autogiro" from the ground for a steep climb when competing at Brooklands on Sunday. 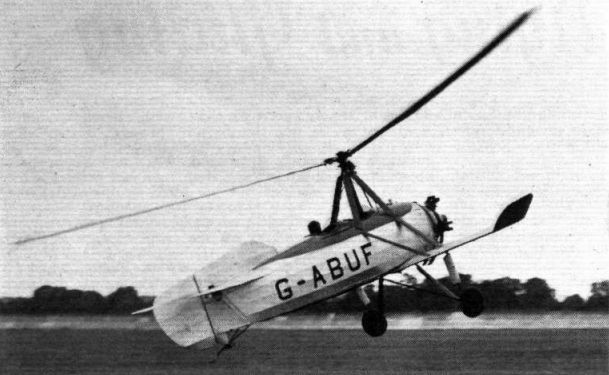 THE FIRST FOCKE-WULF "AUTOGIRO." 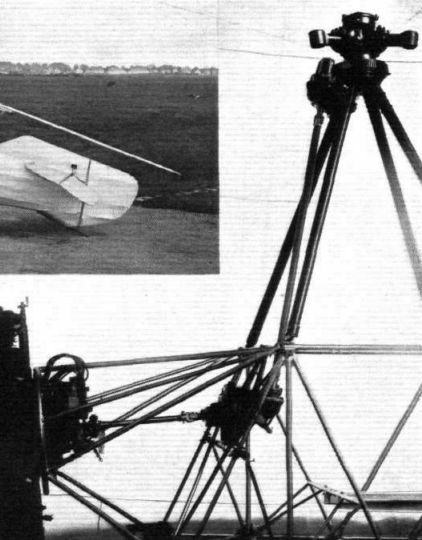 The engine-driven rotor starter, pyramid and rotor head. THE FLEET FIGHTER: The Fairey "Firefly III M" (Rolls-Royce "Kestrel") has been designed as a single-seater fighter for work with the Fleet Air Arm. On this occasion it was being piloted by Mr. Staniland. Fairey's Chief test pilot. "A.A.F. ": Spelled by the Auxiliary Air Force Wing. 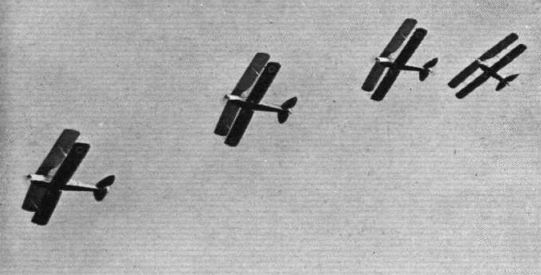 HOME AGAIN: The "Wapitis" of the three London A.A.F. 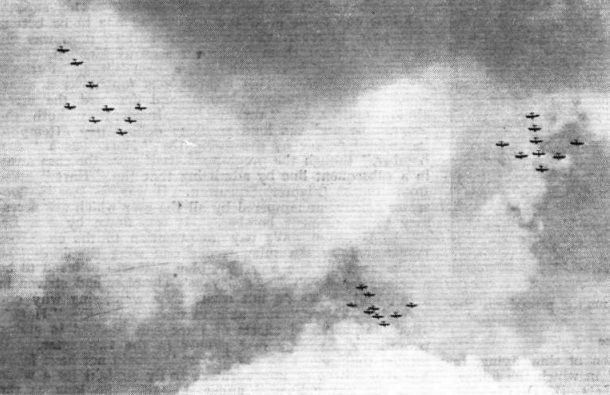 Squadrons returning after their display. FOR No. 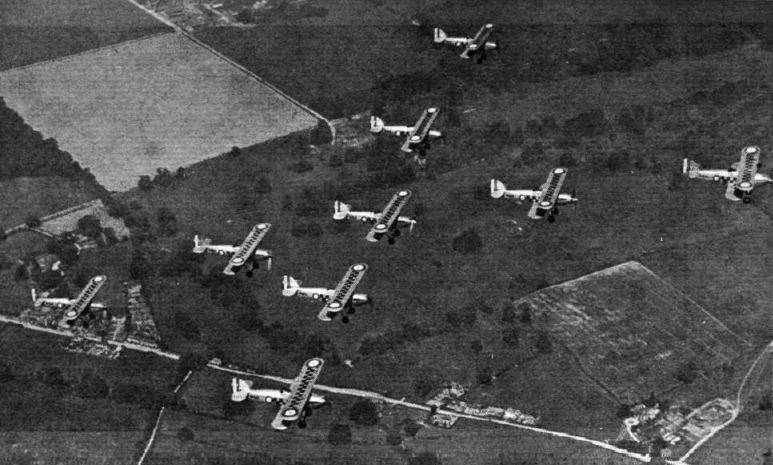 100 (BOMBER) SQUADRON: The Vickers "Vildebeest" Torpedoplane ("Pegasus"). THE PERCIVAL "GULL" (HERMES IV): This is a new type, with seating accommodation for pilot and two passengers. 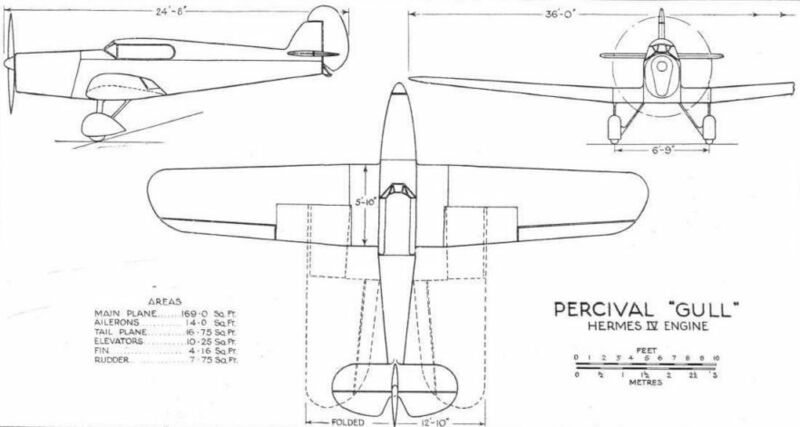 EFFICIENCY: This front view of the Percival "Gull" helps to explain why the machine has such a high performance. A VERY FAST THREE-SEATER: The Percival "Gull" did not get a place in the King's Cup, but it put up a very good performance. The new "Hermes IV" inverted engine gave no trouble whatever. 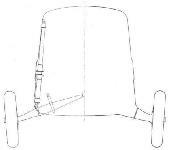 WITH WINGS FOLDED: The trailing edges of the inner wing portions hinge upwards to permit the wings to be folded back. No jury struts are required, the hinges being strong enough to take the weight of the wings. The petrol and oil tanks are housed in the wing and roots respectively. ACCESSIBILITY: A view of the "Hermes IV" engine as installed in the "Gull." 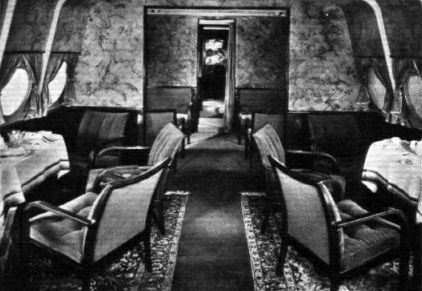 On the right, a view into the cabin, showing the staggered seats. 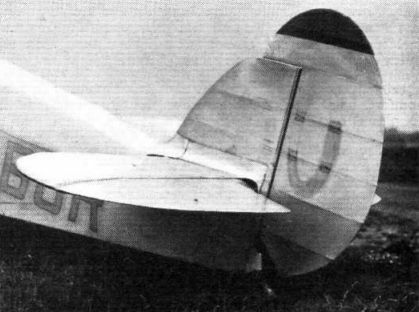 AND THE ORTHODOX TAIL: A view of the tail surfaces, which are of a perfectly normal design and construction. 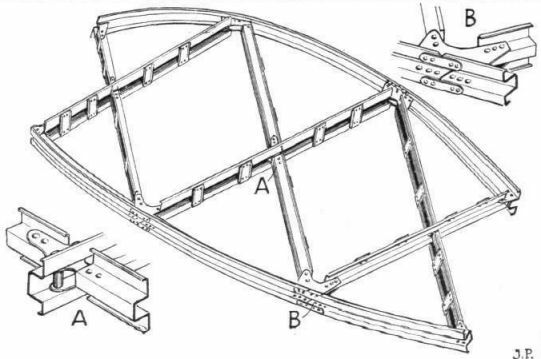 THE UNUSUAL UNDERCARRIAGE: Each wheel is carried on a fork composed of four members, the ends of the axle having their bearings in crossheads. The landing shock is absorbed by the coil springs, and the bouncing is checked by oil dashpots. Our illustration shows the "spat" removed. 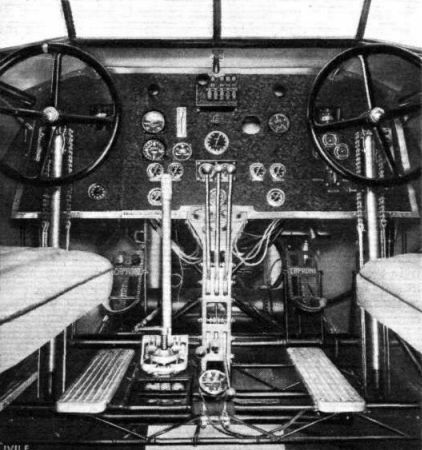 The pilots' cockpit of the Caproni 101 "Nord-Africa.'' The engine control levers and brake lever are seen between the seats. 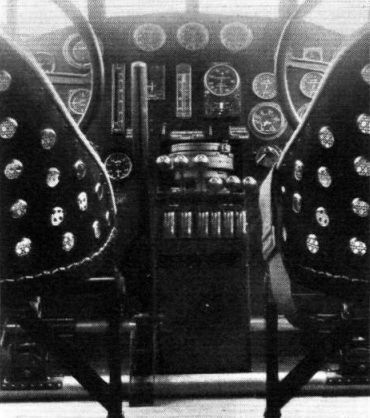 Two interior views of the cabin of the Caproni "Nord-Africa." 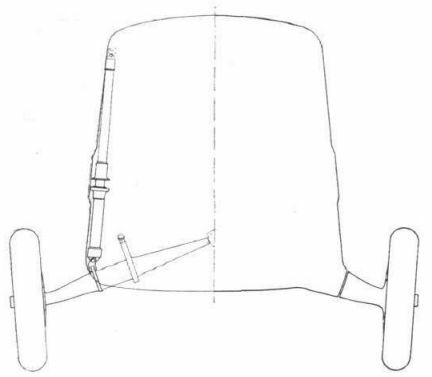 On the left, looking aft, showing at the extreme rear the 2nd Class compartment. On the right, looking forward, showing the wireless installation in forward left-hand corner. 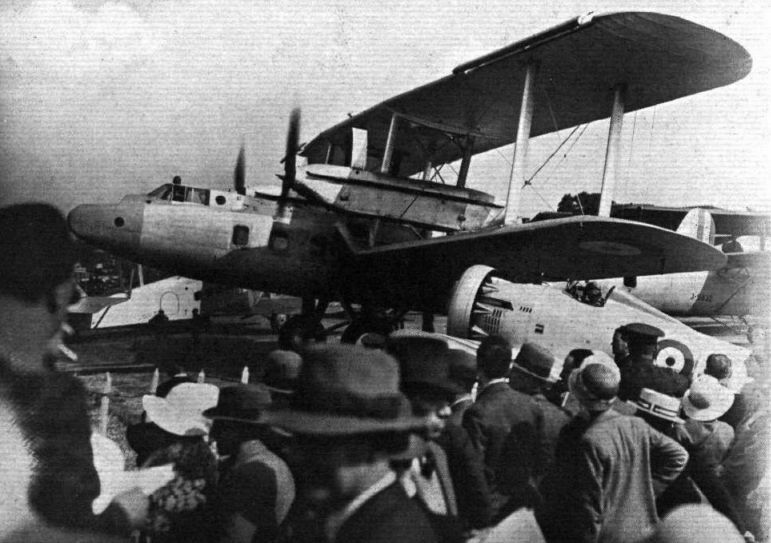 Caproni 101 Type "Nord-Africa" One 400 h.p. Bristol "Jupiter", Two 210 h.p. Armstrong Siddeley "Lynx"
"STAGE AND SCREEN": The inaugural meeting of the Stage and Screen Aero Club was held at Hatfield Aerodrome on Sunday, July 24. The de Havilland School Clubhouse was the venue. In the foreground is the demonstrator "Puss Moth" of Brian Lewis, Ltd. Fit. Lt. Comper showed off a "Swift" (Gipsy III) during the afternoon. R.A.F. v. NAVY: Lt. Caspar John, R.N., and Fit. Lt. Hattersley off Friday morning. 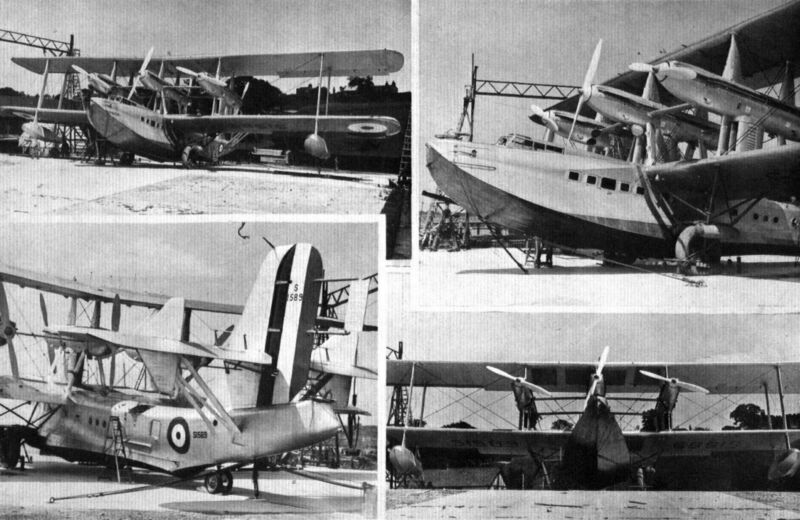 A PRIVATE VENTURE: The Westland "P.V.6" ("Pegasus") is a general purpose aircraft. 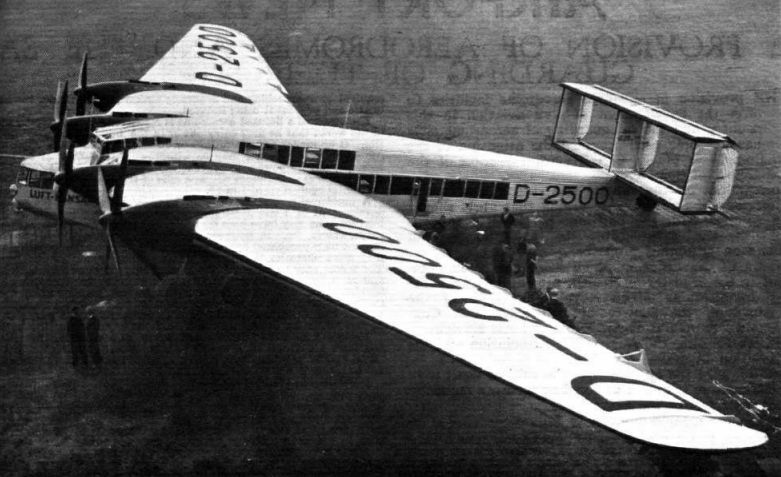 A NEW VERSION OF THE JUNKERS G.38: The "D 2500" which has just been put into service on the Berlin-London route by Luft Hansa. It has accommodation for 34 persons. The Vacuum Oil Co. have recently purchased a Stinson Model "R" (215 H.P. Lycoming engine) which seats 4 persons in great comfort. 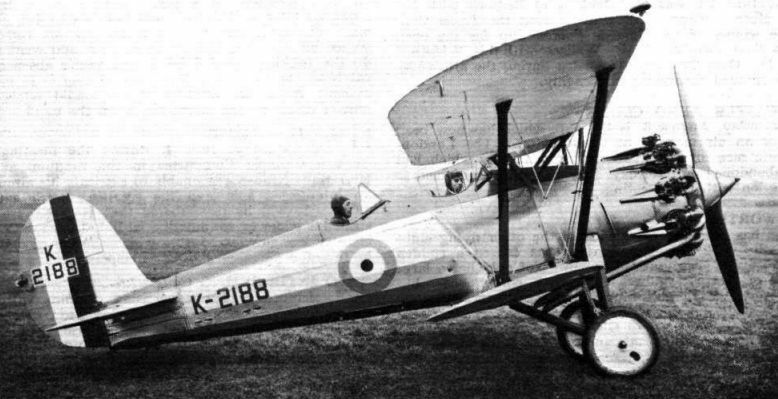 This aircraft will be used by Mr. J. H. White, in the course of his travels in the Eastern Hemisphere as Aviation representative for the vast vacuum oil interests. 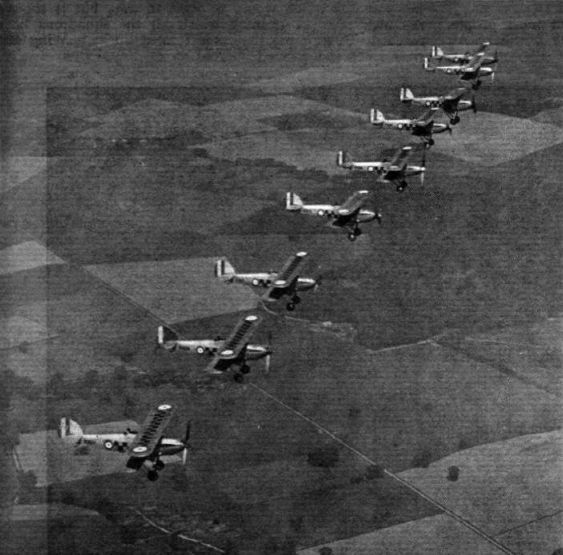 A formation of Armstrong-Whitworth "Atlas" machines of O.U.A.S. flying along the coast of the Isle of Sheppey. 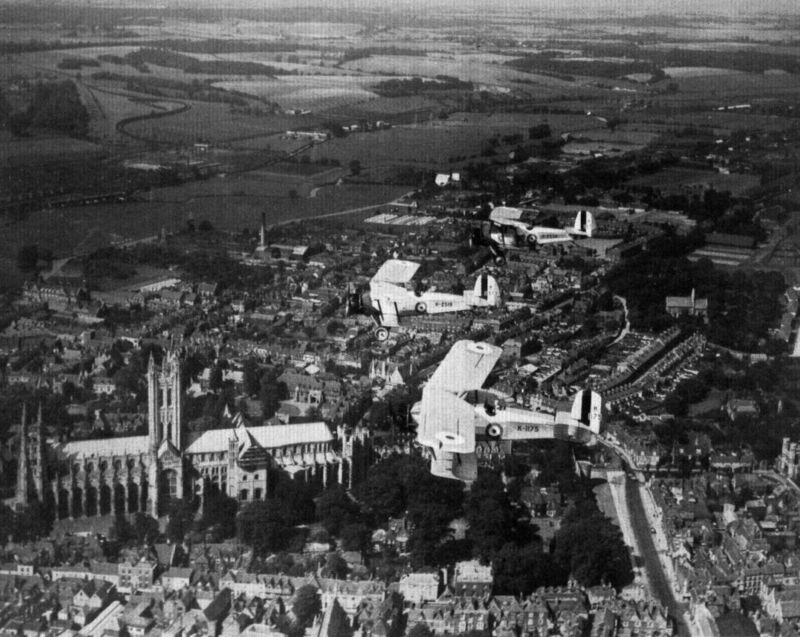 OXFORD LOOKS DOWN ON CANTERBURY: The O.U.A.S. "Atlas" machines find a natural attraction in beautiful old cities and buildings. 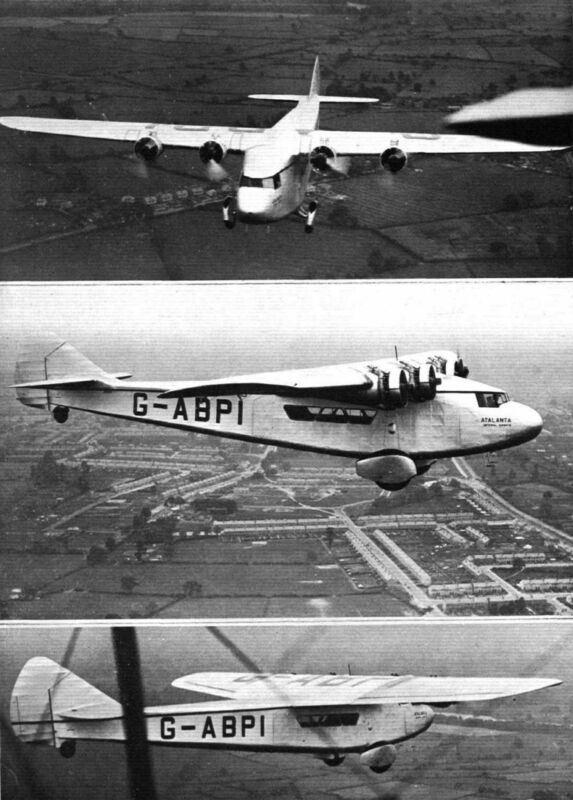 DROPPING SUPPLIES: Three Armstrong-Whitworth "Atlas" ("Jaguar") of No. 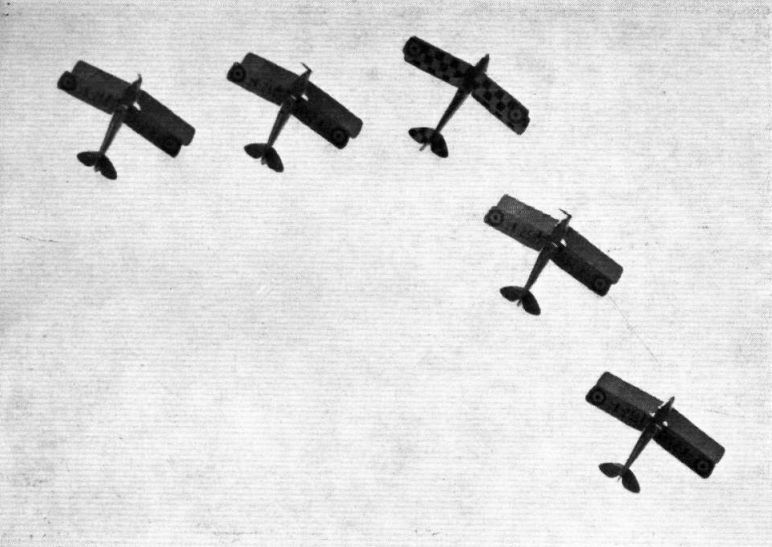 16 (Army Co-operation) Squadron. Members of Oxford University Air Squadron studying a map. THE ARROW "ACTIVE II" (GIPSY III): A development of the "Active I," this machine is, apart from its clean design, remarkable for its fine construction. THIRSTY HORSES: Fuelling the "Panther" engine of the Avro "Mailplane" which scored the fastest time over the course with 176 m.p.h. 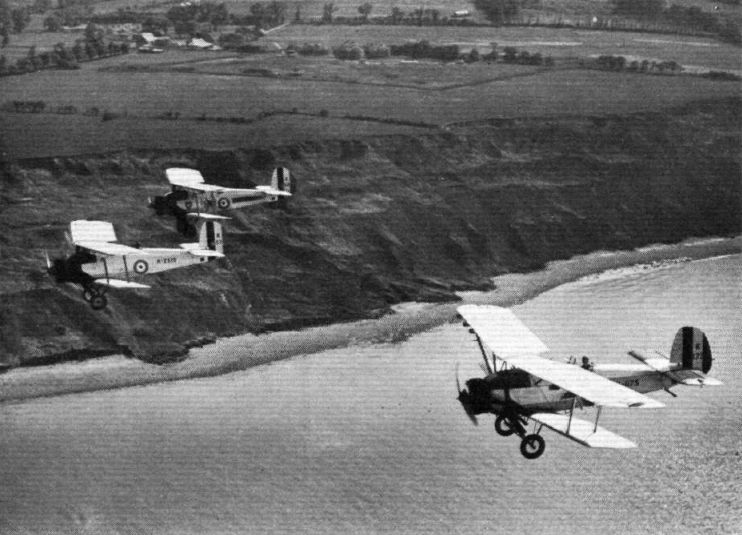 LOW BOMBING: Three Vickers "Virginias" ("Lions") of No. 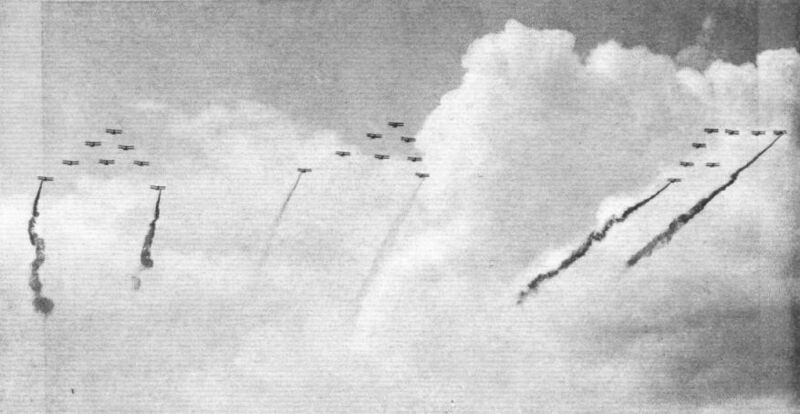 9 (Bomber) Squadron dropping smoke bombs on a ground target. 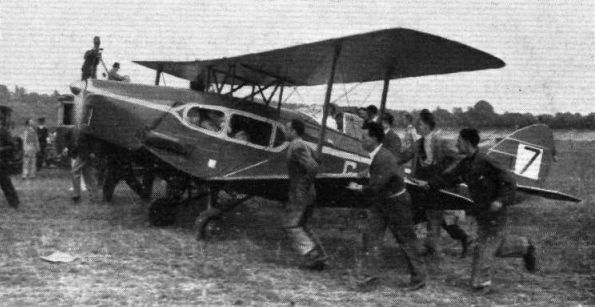 THE PRINCE OF WALES' ENTRY: The "Gipsy Swift" taxying in after securing second place. THE TWO COMPER "SWIFTS" ("GIPSY III") Fielden and Styran getting away on Friday morning. THE PRINCE OF WALES' ENTRY: The "Gipsy Swift" is being groomed. FITTED WITH A NEW ENGINE: The de Havilland "Fox Moth" to be piloted by Capt. 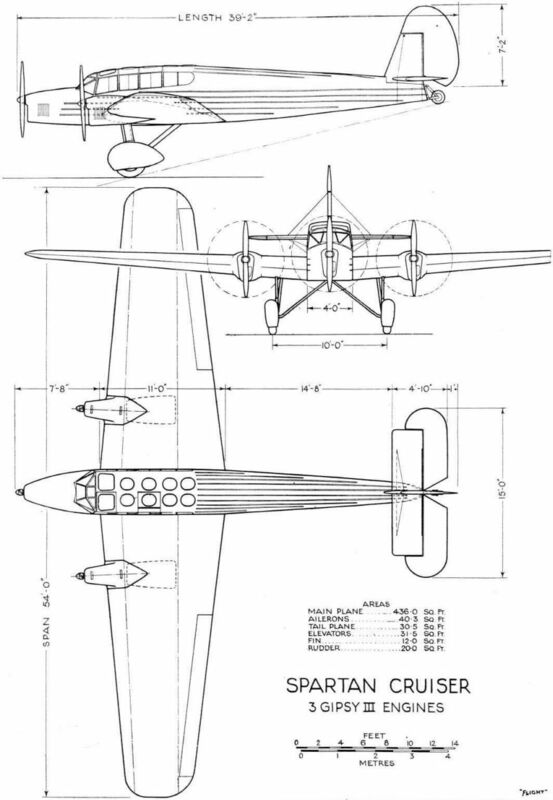 Hope has the new "Gipsy IIIA" engine which recently passed its type tests. THE "HAT TRICK": For the third time the race for the King's Cup has been won by Mr. W. L. Hope, who was flying a de Havilland "Fox Moth" fitted with the new de Havilland "Gipsy III A" engine. The picture shows the machine taxying in. 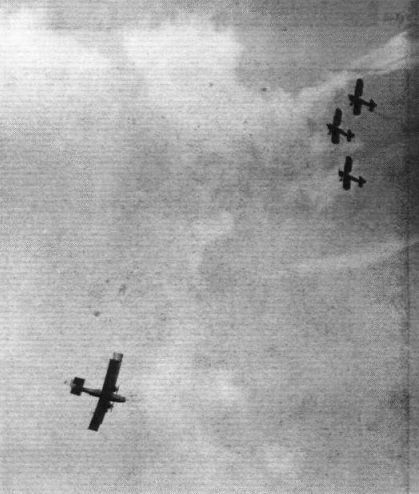 THE "HAT TRICK": For the third time the race for the King's Cup has been won by Mr. W. L. Hope, who was flying a de Havilland "Fox Moth" fitted with the new de Havilland "Gipsy III A" engine. The picture shows Hope crossing the finishing line. 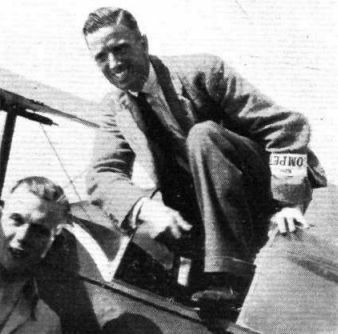 THE "HAT TRICK": For the third time the race for the King's Cup has been won by Mr. W. L. Hope, who was flying a de Havilland "Fox Moth" fitted with the new de Havilland "Gipsy III A" engine. Hope is seen getting out of the machine. 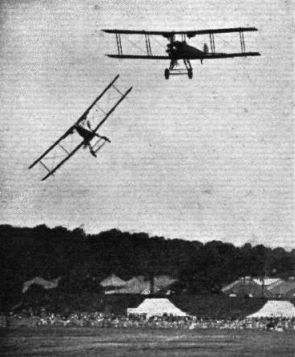 RUNNING UP: Mr. Campbell-Orde testing his "Double Mongoose" engines before making a flight at Whitley. 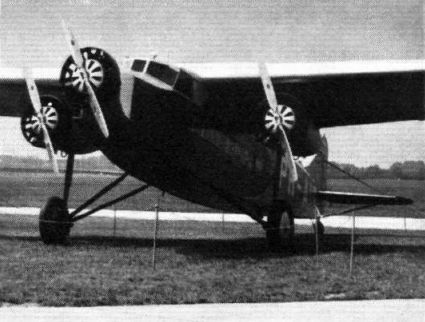 SIDE VIEW OF THE "ATALANTA": Note the "spats" over the wheels, and the low ground clearance. THE A.W. XV IN THE AIR: This front view indicates the very low frontal area of the machine. 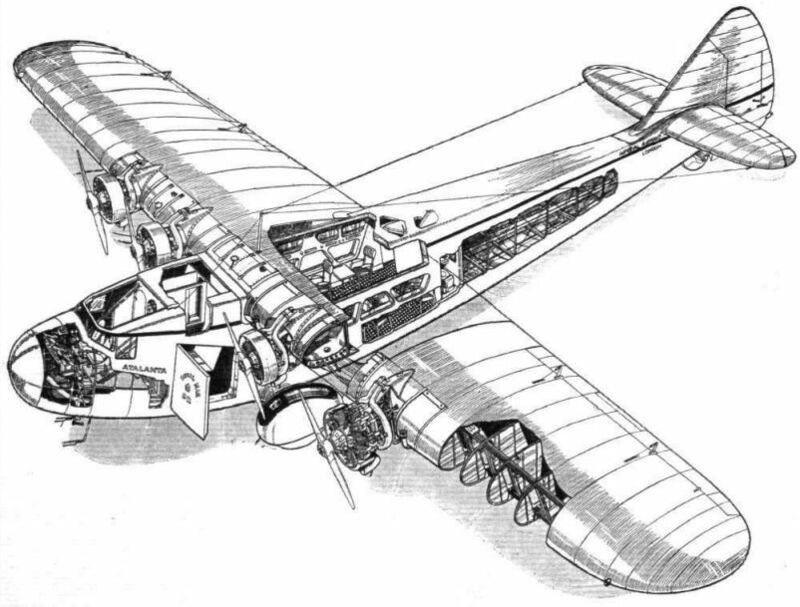 THE "ATALANTA" IN FLIGHT: This view from above gives a good idea of the plan form, and also shows the neat merging of the engine housings into the wing surface. 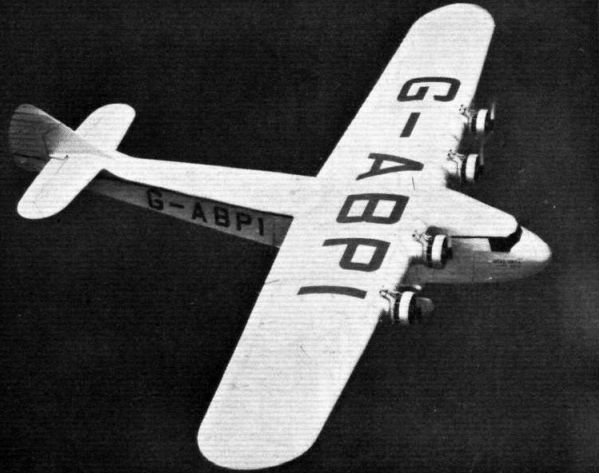 FOR THE AFRICAN AIR ROUTE: The Armstrong Whitworth "Atalanta" (four Armstrong-Siddeley "Double Mongoose") is the first of eight machines being built for Imperial Airways, Ltd. The extremely careful streamlining should be noted. Members of the Chartered Surveyors Institution at the Armstrong-Whitworth Aircraft Factory at Coventry. The aircraft in the hangar is the new AW.XV "Atalanta" built for the Imperial Airways' African route. 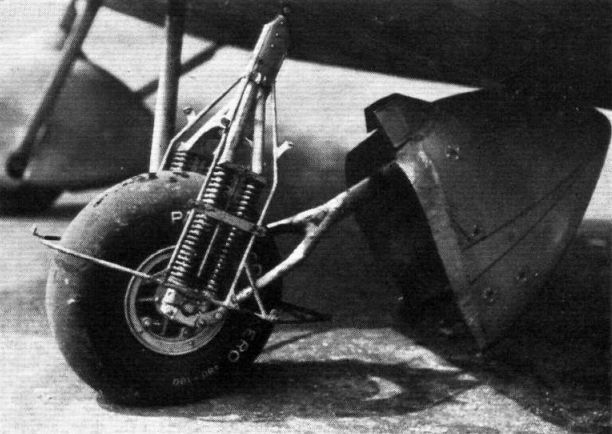 THE TAIL WHEEL: This is of the castor type, and has a very short travel. 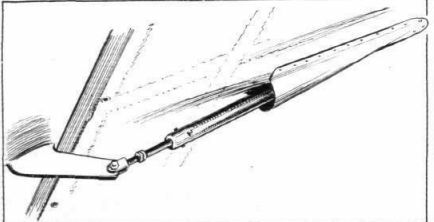 Details of the tail-trimming gear can also be seen. THE ARMSTRONG-SIDDELEY "DOUBLE MONGOOSE": At a normal speed of 2,000 r.p.m. it develops 340 h.p. at 4,000 ft. altitude. Max. power is 375 h.p. at 2,200 r.p.m. 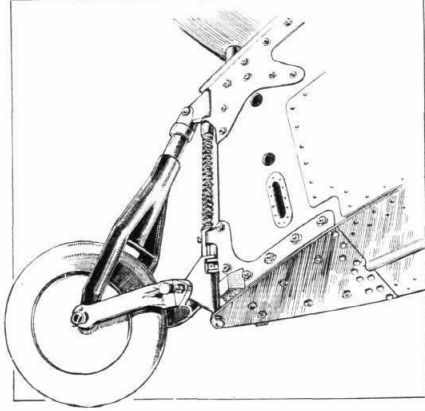 REDUCING UNDERCARRIAGE DRAG: Schematic representation of how most of the undercarriage is "buried" inside the fuselage. 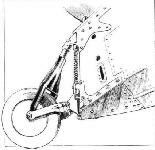 THE SERVO RUDDER ARRANGEMENT: For small angles the rudder is operated direct. For larger angles the Servo rudder comes into action. The front spar, with bearers for engines and petrol tanks. 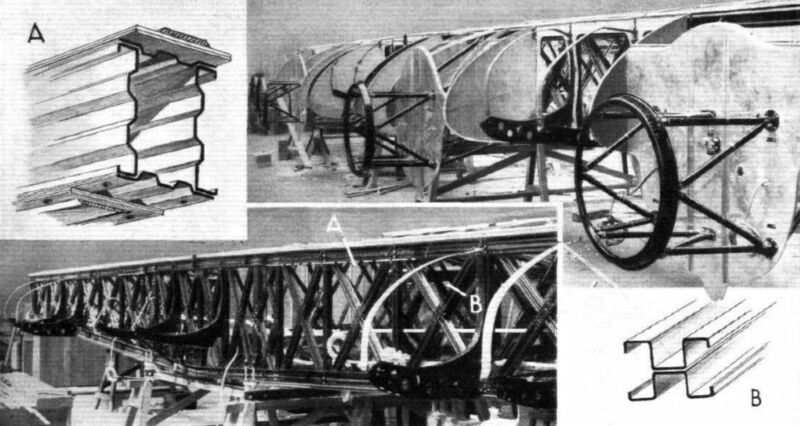 The insets show sections of spar booms and ties. THE METAL RIBS: These are used in the central portion of the wing only, the other ribs being of wood. 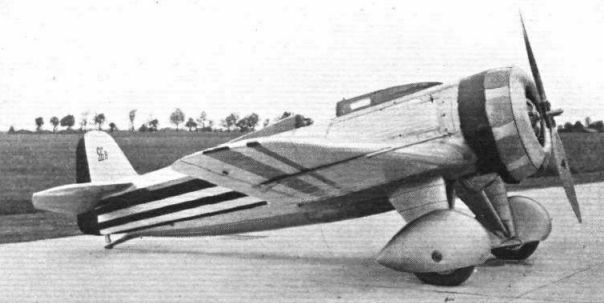 THE FOKKER F.XVIII: The engines are Pratt & Whitney "Wasps" of 440 h.p. each. They are fitted with Townend rings. Three-quarter front view of the Fokker F.XVIII. Looking into the pilots' cockpit of F.XVIII. The circles on the backs of the seats are lightening holes and not instruments! 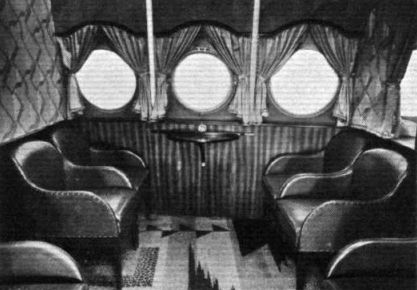 IN THE CABIN OF THE F.XVIII: On the left a view looking aft. Note the pantry, of "easy work" style. On the right a view looking forward. The seats can be turned into couches. The table on the left is the navigator's chart table. THE MICHELIN CUP WINNER: The Hanriot 41 Monoplane (230-h.p. 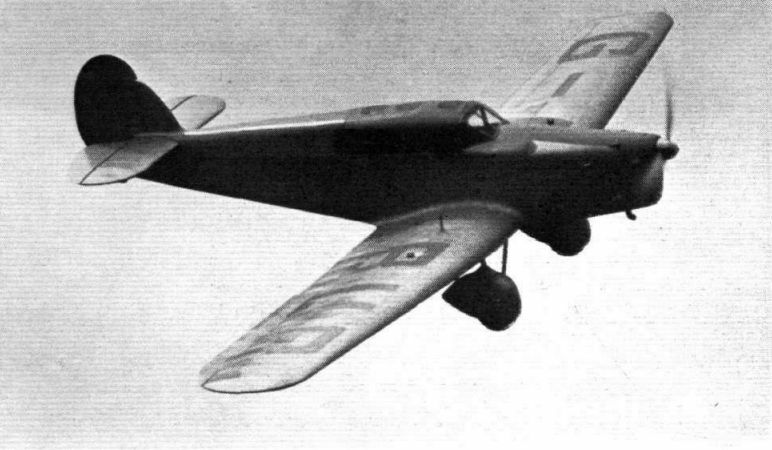 Lorraine air-cooled radial). THE NEW PTERROR: The Westland Pterodactyl (Gipsy) appeared in new colours for the purpose of monster-chasing. STEAM COOLING: A Supermarine "Southampton" (two Rolls-Royce "Kestrel") has been fitted experimentally with steam cooling, which accounts for the small size of the radiators. Marconi light-weight telephone equipment. 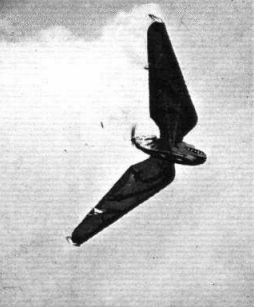 Type A.D. 22B, fitted in Mrs. Victor Bruce's "Windhover." 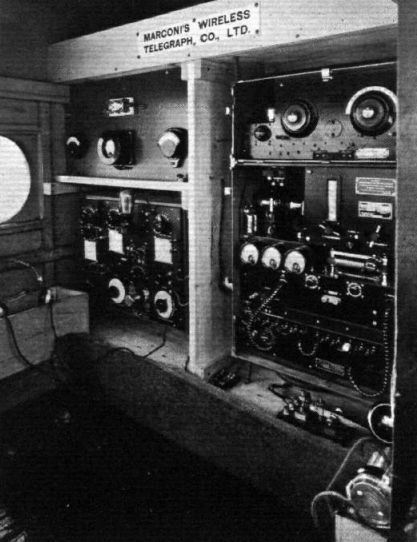 The Marconi A.D.18A equipment in the Morris 10 cwt. The long-wave receiver is on the left and the transmitter and short-wave receiver on the right. THE NEW 6-ENGINED SHORT FLYING BOAT (ROLLS-ROYCE "BUZZARDS"): Although launched only a fortnight ago, the boat could be demonstrated with every confidence on Monday last. It was flown by Mr. Lankester Parker. 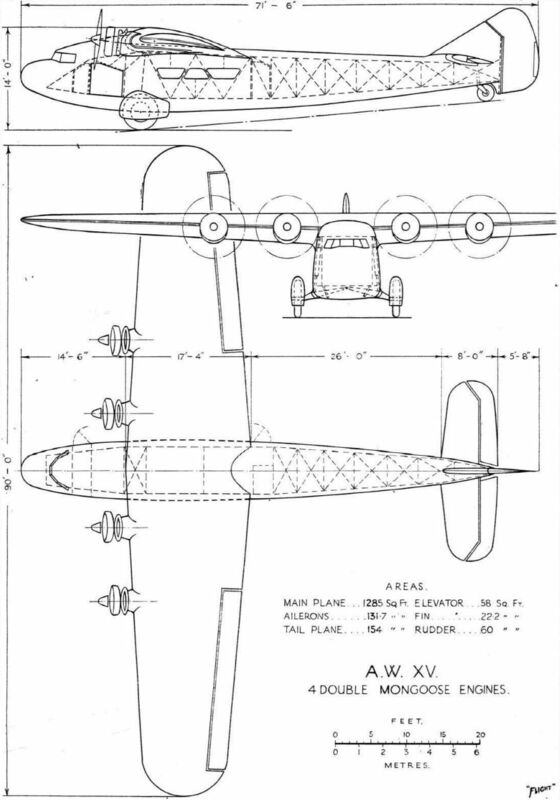 Like other Short flying boats, the new machine was "right" from the very start, and needed practically no modifications at all. 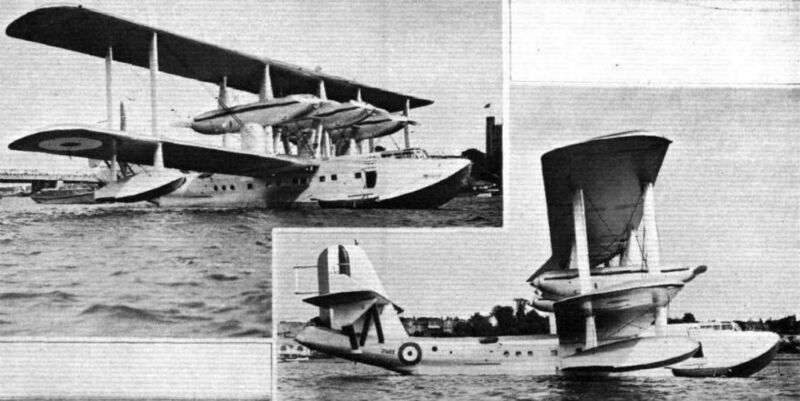 IN HER HOME WATERS: The Short six-engined flying boat ("Buzzards") at Moorings on the Medway. 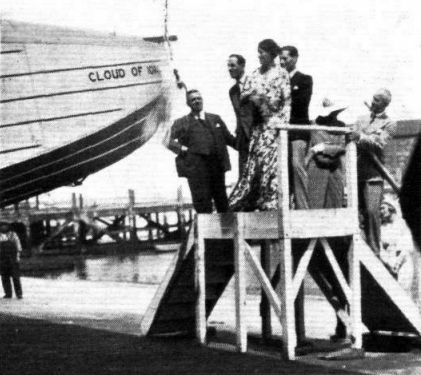 The official designation of this boat is "Flying Boat R.6/28." 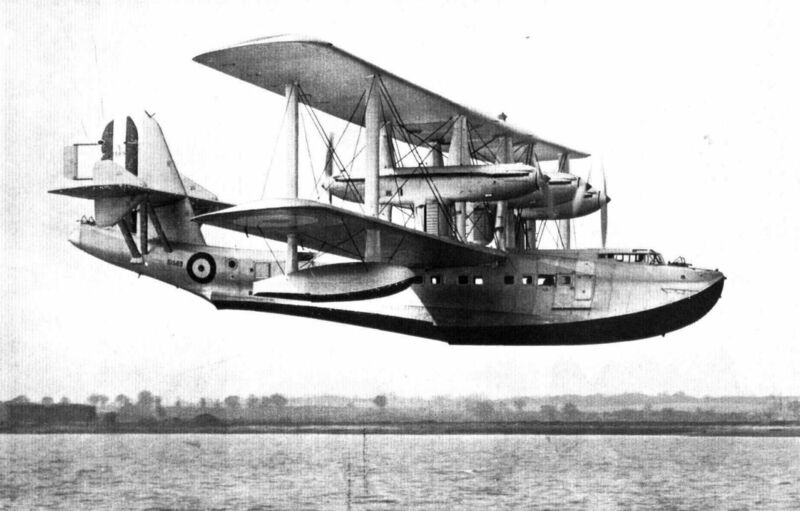 THE LATEST OPEN SEA RECONNAISSANCE MULTI-SEATER FLYING-BOAT: This new six-engined Short machine has just been launched at the Rochester works of Short Brothers. The engines are Rolls-Royce "Buzzards." The instructor just avoids collision with his clumsy pupil in the demonstration of instructional flying on Avro-Lynx. EQUAL TO THE BEST OF THEM: Miss Winifred Spooner gets into her "Moth." 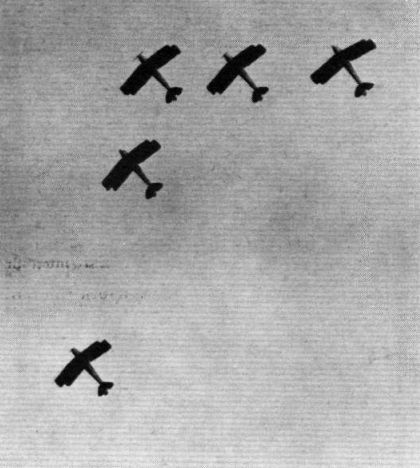 A formation flight over Stag Lane in "Moths" of the London Aeroplane Club by members of the British Aviation Insurance Co.
A "MOTH" IN LUCKNOW: His Excellency Sir Malcolm Hailey, the Governor of the United Provinces, naming a "Moth" presented to the Delhi and U.P. Flying Club, Lucknow Centre, by the Raja of Nanpara. 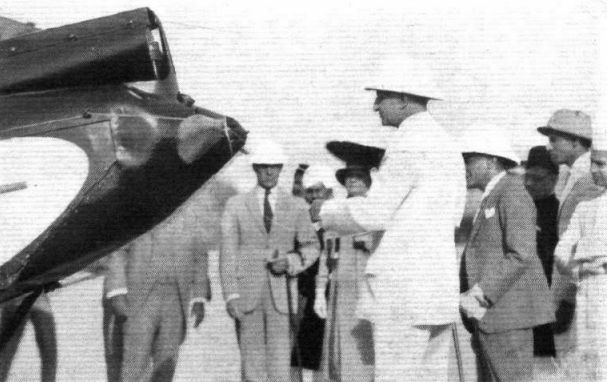 IN SEARCH OF THE LOST OASIS: Refuelling Sir Robert Clayton East's "Moth" with "Shell" in the desert, some 150 km. north of Owenat. 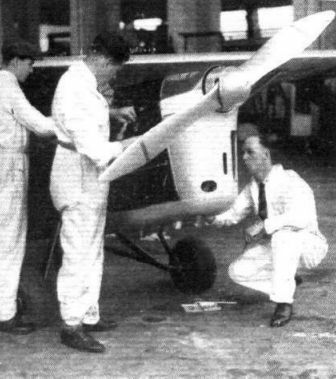 The first student members of the College of Aeronautical Engineering Aero Club with their "Moth" (Gipsy I) aeroplane. This Club is organised and run entirely by students of the College, who are training as ground engineers, and is a serious effort by future members of the civil aviation industry to learn everything there is to know about their job. Capt. 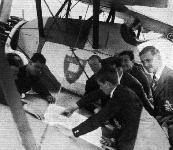 Duncan Davis and Mr. Lowdell, of Brooklands Aviation, Ltd., are in the centre of the group, by the nose of the "Moth." 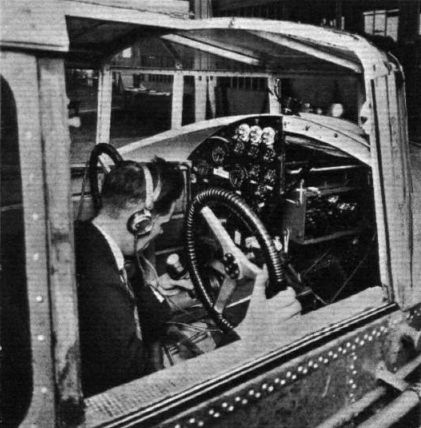 The Air Ministry Mail Carrier under construction by Boulton & Paul, Ltd.